A retro-obsessed director and an '80s icon team up for a hallucinatory axe-wielding fantasy lovingly crafted for a niche audience. 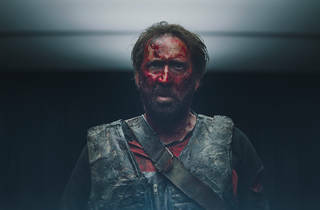 What further bug-eyed craziness can Nicolas Cage, who has already given us so much bug-eyed craziness, provide? In the case of this psychedelic revenge fantasy, the answer is a single-take bathroom meltdown during which he appears to down a bottle of vodka while crying and emitting animal screams. In his underpants. When this is done, his grieving character forges a scimitar – yes – and goes on the hunt for a gang of Manson-like killers who have slayed the love of his life, the gentle Mandy (Andrea Riseborough). It’s possibly peak Cage, though getting to this point in the movie requires stamina – and not just because it all unfolds well after the hour mark. Co-writer and director Panos Cosmatos is evidently working out some kind of fixation he has on a certain type of glossy ’80s VHS-era aesthetic. This affection for dreamy sci-fi nightscapes and ghostly King Crimson tunes makes ‘Mandy’ a geek’s paradise, far from your typical piece of star-slumming action. But Cosmatos needs you to be charitable toward the performances. Or, barring that, he needs you to be stoned – and many will oblige. Graced by a thickly menacing synth score from composer Jóhann Jóhannsson (‘Sicario’), whose recent death from a drug overdose represents the loss of a major talent, ‘Mandy’ is already guaranteed cult status. 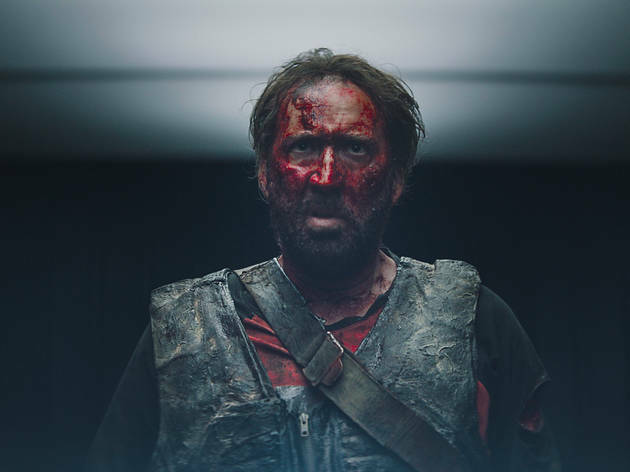 Definitely a future cult classic, Mandy is a bizarre mismatch of slowly unfolding scenery in the first hour, and 'what the hell' in the second. If you can tolerate the complete lack of pace in the build up, watching Cage... Cage in the second half is absolutely majestic. Really. He is magnificently hilarious. It's worth the time of anyone into 80s horror, but you wouldn't miss out too badly if you waited to catch it on the small screen. That being said, however, the soundtrack in a proper screening is beautiful.